The UK’s export growth has begun to run out of steam amid domestic political uncertainty and international trade tensions, new figures from Lloyds Bank show. The quarterly Lloyds Bank UK International Trade Index, put together by the bank in partnership with intelligence firm IHS Markit, brings together key export growth and supply chain indicators. It found that a four-year run of growth in services exports ended in the final quarter of 2018, while manufacturing export growth opportunities fell to a three-year low. 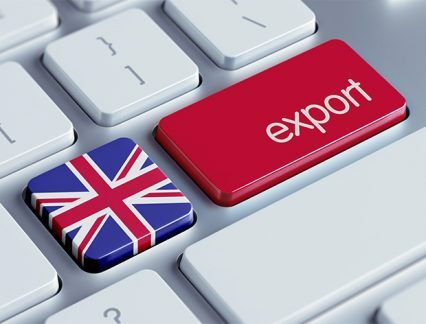 Survey data for the fourth quarter showed a contraction in new export business at UK service providers. At 48.8 on a scale of 0 to 100, the seasonally-adjusted index was down 2.1 points from Q3 and below the level of 50 – which demarcates contraction and expansion – for the first time since the series began in the third quarter of 2014. According to service providers polled by the bank, uncertainty around Brexit has delayed spending decisions and dented confidence among European clients, while slower economic growth across the euro area also contributed to holding back new work from abroad. “We should be mindful of the impact of fluctuating trading conditions and global and domestic political uncertainty on the UK’s exporters,” says Gwynne Master, managing director and global head of trade for Lloyds Bank’s global transaction banking business. Not everyone is feeling the pinch, though: business-to-business service firms, including those in advertising, market research and engineering services, bucked the weaker export trend with strong demand reported in Asia-Pacific and the Gulf states, according to the research. Meanwhile, the weak sterling exchange rate provided support for a number of survey respondents, who said this had helped to support their sales efforts in developed markets. For manufacturers, the picture is slightly more nuanced. Overall, export growth slowed in Q4, but larger firms fared better than their smaller counterparts, largely due to their more diversified export markets, as strong economic growth in exports to the Netherlands, Ireland and Spain contrasted with softer conditions in China, France and Germany. “The UK International Trade Index findings underline why exporters can benefit from doing business in a diverse range of overseas markets. Exporting to a mixture of different countries would help, for example, a business offset the impact of a Chinese downturn if they were also exposed to the Netherlands, Ireland or Spain, which are all showing real strength,” says Master. Consumer-oriented areas of the manufacturing sector were the main engine of new export order growth in Q4, but this was outweighed by the transport sector, which continued the decline seen since Q2 as a result of ongoing regulatory changes including vehicle emissions testing standards across the automotive sector, as well as subdued demand from key emerging markets such as China. With a year of change ahead as the UK prepares to leave the European Union, this lacklustre data flies in the face of the UK’s department for international trade’s ambitious target to boost exports as a percentage of GDP from 30% to 35%. Although the UK government is attempting to help British firms navigate new markets, including increasing UK Export Finance’s direct lending capacity by £2bn, the lack of growth opportunities flagged up by this research, coupled with ongoing geopolitical headwinds, paint a pessimistic picture of the future.